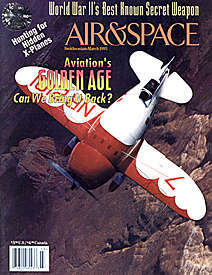 In March 1995, Homer Hickam, Jr. wrote a 2,000 word article for Smithsonian Air & Space magazine. 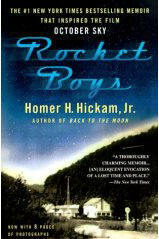 The article was entitled "Big Creek Missile Agency," and it described Homer and his friends' experiences building rockets in rural Coalwood, West Virginia, starting in 1957. The magazine received tons of letters praising the article and asking for more. Homer Hickam, Jr. turned his short story into a book titled Rocket Boys, which, of course, turned into an international phenomenon. The book was published in 1998. 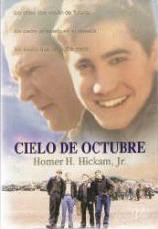 Universal Pictures released a movie in 1999 called October Sky based on Rocket Boys. 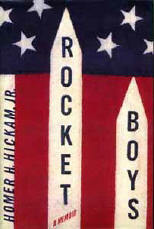 Hickam subsequently published three more books in The Coalwood Series: The Coalwood Way, Sky of Stone and We Are Not Afraid. Please click here to read about each story. by Homer H. Hickam, Jr.